A few reflections from this past Sunday. I saw something beautiful today: a new church was born. The congregation that my wife and I attend opened their arms 16 months ago to a pastor couple who have worked among us to collect a group of people with the commitment to launch a new congregation in a different part of the city. Ours is a congregation that had its own birth less than 10 years ago in a storefront building. Now it has reproduced itself in loving generosity. With the world awash in “big,” it was moving to see something tiny and small take its first steps today. The launching pastor, with tears in his eyes, compared the mother church to a pregnant woman glowing in the beauty of new life. The two congregations gathered as one for the last time today and shared the Lord’s Supper, sang “Great is Thy Faithfulness,” and spoke a blessing. Next week, another part of the city will be graced with the presence of a loving new congregation. I saw something beautiful today. The past two weeks have wearied me. College campuses are the perfect tinderbox for conflict regarding the presidential election. In one unique place, you find diversity, passion, inherited parental politics, newly emerging generational politics, old-people politics, professors with differing viewpoints that are held with unflinching certainty, women who were hoping for a shattered glass ceiling, immigrants who were hoping for a responsible path to citizenship, LGBT persons running the gamut from “seeking dignity as persons” all the way to “affirmation of any and every sexual behavior,” white working middle class people who are tired of being called uneducated, black persons who hope their lives matter, economic-minded citizens hoping for lower taxes and more jobs, Democrats defending the poor and minorities, Republicans wanting less government interference, students just out of the military, 22 nationalities, about 3,500 very different people, and the normal immaturity of the human race. Add to all of this the fast-moving gas fumes of social media looking for a fire somewhere. I live and work in this community. Then my pastor simply told the story of Jesus, laying aside power, absorbing brokenness, dying in love. I found myself asking, how do people who believe Christ is King live now? What is the posture of a Christian in a frightened, fractured, fighting world? After two weeks of “How can you be a Christian and vote for x?”, two weeks of people taking and giving offense, two weeks of seeking to reconcile the unreconcilable … I found myself drawn into God on Christ the King Sunday. And similar to an Augustine moment, the Spirit instructed me to pick up the book and read Romans 12. The title of this section in the NRSV is The Mark of the Christian. “Let love be genuine; hate what is evil, hold fast to what is good; love one another with mutual affection; outdo one another in showing honor. Do not lag in zeal, be ardent in spirit, serve the Lord. Rejoice in hope, be patient in suffering, persevere in prayer. Contribute to the needs of the saints; extend hospitality to strangers. Bless those who persecute you; bless and do not curse them. Rejoice with those who rejoice, weep with those who weep. Live in harmony with one another; do not be haughty, but associate with the lowly; do not claim to be wiser than you are. Do not repay anyone evil for evil, but take thought for what is noble in the sight of all. If it is possible, so far as it depends on you, live peaceably with all. Beloved, never avenge yourselves, but leave room for the wrath of God; for it is written, ‘Vengeance is mine, I will repay, says the Lord.’ No, ‘if your enemies are hungry, feed them; if they are thirsty, give them something to drink; for by doing this you will heap burning coals on their heads.’ Do not be overcome by evil, but overcome evil with good.” (Romans 12:9-21, NRSV). I won’t attempt a full exegesis of this because—in keeping with the ethic of the kingdom of God—it pulls us in odd ways. My takeaway? Stand in the middle of the mess, seek to understand first, honor people, love, suffer in the mode of Jesus, stay humble, leave room for God to be God rather than rushing in with my answers, remain hopeful, offer blessing everywhere possible in every way possible. Is this possible today? Only if Christ is King and the end of time invades this day. Back to work. For a few election cycles now, I have gone to the voting booth with specific questions in mind. I shared these with Trevecca students last night and several asked me to post them today. Rarely has any candidate been the answer to all seven and quite often the answer is neither. But these questions do help me to think about why I vote for a person or choose to write in another name. Under which leader is the world most likely to be at peace? Under which leader will the people of God have the most freedom to carry out the agenda of the kingdom of God? Under which leader will human life and God’s creation be protected, valued and nourished? Under which leader will justice be carried out in creating a peaceful society of neighborly concern? Under which leader will I be expected to be a more responsible citizen in my community rather than a dependent consumer of government goods? Under which leader will honorable work be valued and made available for all to participate in? Under which leader will fragile persons be given dignity, then helped to become as whole as possible and then be expected to live as responsible citizens? 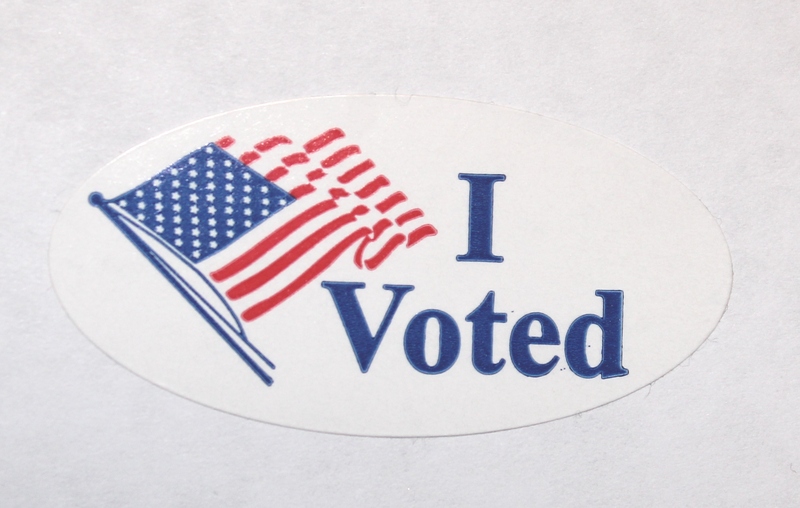 I hope these questions help you as you enter the voting booth today. I found myself writing a talk on composure two days after the presidential debate. 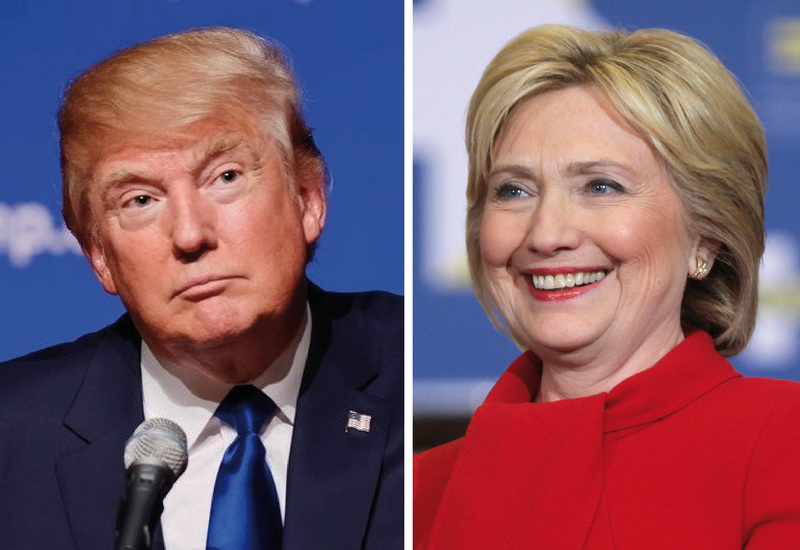 While commentators and political pundits used the word “presidential” to define the tenor and tone that two persons were trying to master, they were really talking about composure—how people are perceived by those who experience interaction with them, how they come across, and how “rattle-able” they are under pressure and in crisis. Sadly, the preparation for debates imagines that professional coaching can dramatically change the essence of who a person has been becoming for his or her whole life. And I suppose it can, for 90 minutes, soften tone, tweak posture, and calculate expressions. But in the end, we’re looking for a daily leader, not a primetime actor. The coaching we need is not for some surreal stage, but for deep integrity and coherence—for daily habits that dig deep grooves in our brains and enable us to be comfortable in our own skin on the spot. Composure is about an inner integrity that is neither instant nor easy. It goes to the core of our self-knowledge and character. If one shining moment is all we’re in it for, acting lessons would be cheaper than integrity. But the world needs people of composure. Most leadership tasks, similar to mine, have competing constituencies that are constantly pressing or pulling us in opposite directions. I found comfort recently in the obituary of Jack Coleman, former president of Haverford College. During his presidency, he was constantly at the center of conflicting interest groups. His obituary quoted him as having said, “In actuality, a president is at the center of a web of conflicting interest groups, none of which can ever be fully satisfied. He is, by definition, almost always wrong. It’s all very interesting, and not hard to take once he gets over wanting to be right and settles instead for doing the best he can.” There’s a man with composure. We have to be willing to visit our own basement and see our shadow side. We must be honest with ourselves about who we really are. We banish our worst traits to the basement, lock the door, and trick ourselves into believing that there’s nothing down there. Visit your basement, and you’ll find things lurking there, like low self-esteem, brewing resentment, revenge, the need to prove our parents or spouse or former boss wrong. All kinds of stuff ends up in our basements. Our emotions know this in a way that our brains don’t. So we end up fragmenting our public and private selves in a way that fractures integrity. We hate what is in our basements. And the way we justify our opposition to our own shadow side is to project it on other people and attack it. We reserve our highest octane for responding to traits in other people that are residing in our basement. When my oldest daughter hit the teenage years, she could drive me up the wall faster than any human on the planet. My reaction to her was instant and reactionary. Why? In the words of my wise wife, it’s “because she’s just like you.” I was reacting to things about myself that I didn’t like. When they surfaced in her, I was shouting at myself in the mirror. Composure is hard to come by when we do not realize what we are doing. Have you been in your basement lately? ​We have to get out of the echo chamber that we create for ourselves. We thought this new age of information technology would widen our perspective, deepen our knowledge, extend our thinking. It is doing exactly the opposite. With overwhelming data and voices and knowledge, we have carefully selected to pay attention to people who tell us what we already think. We follow the people we already agree with on Twitter and Facebook. We read books that allow us to underline our own opinion. We listen to commentators who make us feel smart because they articulate what we have been saying. We’re living in echo chambers that are not much more than our own voices bouncing back to us. Composure requires that we live in a world of diversity and difference. We have to feel at home outside our echo chambers and learn to be kind and wise in the presence of dramatically different people. While I would never chose to take a knee in response to the national anthem, I need to understand the experiences that would bring a person to this point. Rather than quickly condemning the actions of others, I must look beyond their deeds to their deeper narratives and listen. This is the only way that I can demonstrate composure in the face of things I do not grasp on the surface. We need to develop an uncommon sense of welcome and hospitality. There is a shift from modernism to postmodernism that many of us have not negotiated well. In the modern world, the way you debated was along the axis of right and wrong, good and bad, what works or doesn’t work. We made our points and launched our logic believing the best thinking would win. In postmodernism, the axis has shifted from right and wrong to inclusion and exclusion. In other words, we’ve moved from a dominantly IQ world to an EQ world—from intellect to emotion, or more precisely, from ideas to relationships. In this world of inclusion/exclusion, the way you fight is to draw your circle, define the boundaries, and let everyone in who agrees with you. Then you label those who don’t, heap shame and derision on them, and justify your exclusion of them. We form alliances of like-minded people and learn the art of shaming others. In this culture of shame, we find people who are either soft/soft or hard/hard. The soft/soft folk accept everyone and the whole package of ideas that comes with them. They are welcoming, kind, and open. And when this person gets inside the circle, there is no critique of their assumptions, no confrontation of their ideas, no honesty, no coaching, no sharing of wisdom, no confrontation—because soft/soft people just want to be liked. The hard/hard folk are exactly the opposite. They have an exterior that is rigidly judgmental, a litmus test of sorts at the front door. They allow in only people who are like them. And their core values are harder still. But people of composure are neither soft/soft nor hard/hard. Rather, their exterior relational composure is welcoming, kind, inviting, and respectful. They have a composure of welcome rather than judgment. But once you step inside the welcome, you discover that this person is rock solid, steady, principled, uncompromising on life values. The best example I know of this is Jesus. I’ve come to believe that the essence of composure is the ability to stay welcoming and kind at the front door, and to retain a hard integrity in the unfolding or deepening of the relationship. As the presidential race unfolds and we watch for behavior that looks presidential, I’d encourage us to pursue something much deeper than coached reaction. Let’s become people of composure. I’ve taken a Sabbath from posting on social media for a few months. A wonderful team of people who have more technical skills than I do have kept me present in more venues than I know how to operate. I actually enjoy most of the conversation that occurs in cyber land. But I had grown restless, and I wasn’t sure why. So, I stopped writing about things that matter to me. I wanted to get to the bottom of my own restlessness before engaging again. Two things have been helpful: a book and an obituary. The book is Walter Brueggemann’s Sabbath as Resistance: Saying No to the Culture of Now. He writes about resisting anxiety, coercion, exclusivism, and multi-tasking. His understanding that the fourth commandment stands as the link between love of God in the first three commandments and love of the neighbor in the last six. While most of us see the command to practice Sabbath as a matter of passive obedience, Brueggemann views it as an act of active, conscious resistance to the life-sucking socio-economic powers that run a culture of death. I suppose social media gets its claws into us in ways that do not permit our detachment. The constant anxiety of response, disgust, and information train us in the ways of the need for now and know. Truth is, I found myself whirling more than resting, even when I tried to rest a bit with an iPad on my lap. So, I’ve been thinking more about this. 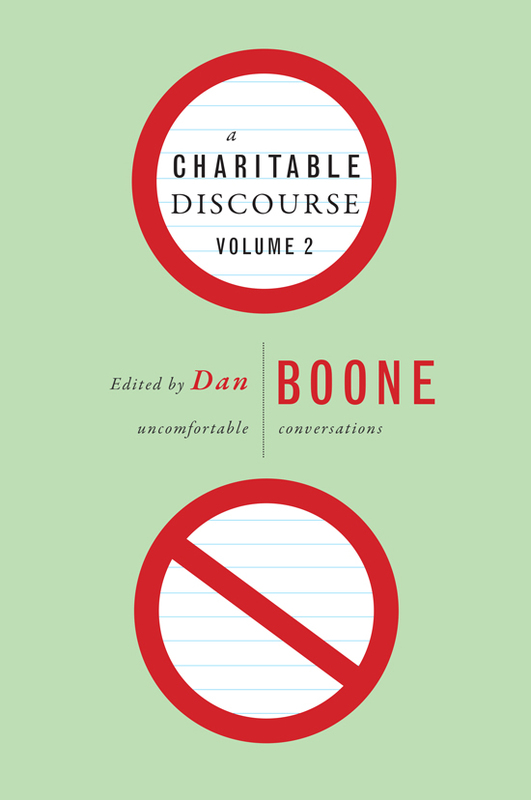 My friends Tim Green and Tim Gaines have written about the use and abuse of technology in A Charitable Discourse Volume II (which was released last week). They are right about the power given to us to curse others via social media and the subtle distancing from the doctrine of the incarnation as we deal in words rather than bodies. I found a dead friend whose wisdom helps me. When we want to know without accountability, responsibility and community—without God—we can blow up the world. Like Adam and Eve in the garden, we pursue knowledge as power, knowledge without responsibility for each other, knowledge that is ours, not a gift received from God. When knowledge becomes nothing more than objective, cold, hard fact, it slips beyond the vibrant connection to our Creator. For, you see, knowledge is truth that is more than a formula or a verbal construct. Knowledge is flesh and blood, embodied in the Christ who said, “I am the way, the truth, the life.” For Christian higher education, then, knowledge is embodied, incarnated, shared, humbly received, and responsibly used—all for restoring a broken world. Our educational enterprise is distinctively different precisely because we are Christians. We engage our students in knowing because God has graciously engaged us in knowing. We love them because we are loved by God. We lay down our lives in service to them because Christ laid down His life for us. We engage them in redeeming the world because this is what God has called us to. And to teach students, we must love them. And what might this love look like? It’s definitely not a don’t-worry-about-your-grades, kum-ba-yah, slop-excusing, buddy/buddy, easy-grade, cheap diploma factory. That is the antithesis of love. Love looks more like a faculty research symposium, a faculty-led research project, writing a grant application, restoring an Honor Society or Phi Delta Lambda tradition, a student research symposium, The Cumberland River Review, balloon launches, beekeeping, 3-D printers, a documentary film in Israel, a student-composed opera, Trevecca around the Globe, mission trips, an undocumented student testifying before political leaders, iWork, Trevecca Authors Celebration, the openness of a professor to notice depression or a sudden disinterest, the mentoring of academic support personnel to relieve testing anxiety! It looks like residence directors, University employees, Plant Ops personnel, and others engaging students in life lessons. It looks like an admissions team raising the entrance standards as a truth-telling act. Rather than taking anyone’s money, we honestly confront them with their capacity for college work. It looks like the School of Graduate and Continuing Studies recognizing the learning differences of the 35-year-old mom with two kids working full time while trying to finish college. We do this, not just for ourselves, and not just for our students, but for the sake of the world. Think of the educational possibilities that exist in the coming 12 months. As Christian educators, we will engage our students around world-altering issues such as the upcoming U.S. presidential election, immigration and the future of our undocumented neighbors, minority issues and the proper use of police force, ISIS and terrorism, cancer research, global warming, urban food production, a collapsing music industry model and the refugee crisis. Can we as Christian educators keep going to class day after day in a world like this with 10-year-old notes and not educate students to live responsibly in this world, loving God, serving humankind? Academic excellence calls us to hard work in order to love our students as God loves us— so that we participate in the redemption of the world. 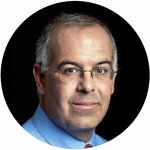 David Brooks, the NY Times columnist, spoke eloquently at the January CCCU Presidents’ Forum. His words encapsulate what I’m trying to say. 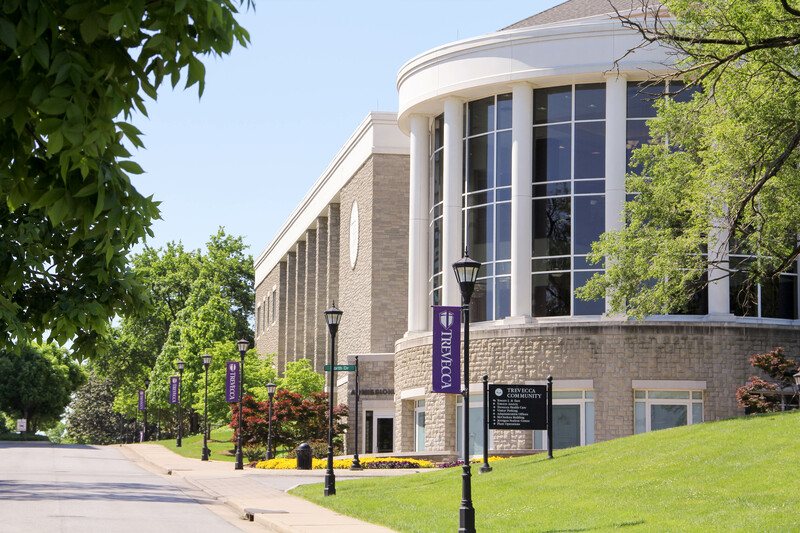 “For Christian universities, this holistic development is your bread and butter. This is the curriculum. This is the chapel service. This is the conversation students are having late at night. It’s lived out. Now, you in this room, have the Gospel. You have the example of Jesus Christ. You have the beatitudes; the fire of the Holy Spirit; you believe in a personal God who is still redeeming the world. “Carrying the Gospel is your central mission to your students, but that’s not all you have. You have a way of being that is not all about self. You have a counterculture to the excessive individualism of our age. You offer an ideal more fulfilling and more true and higher than the ideal of individual autonomy. You offer lessons in the art of commitment. 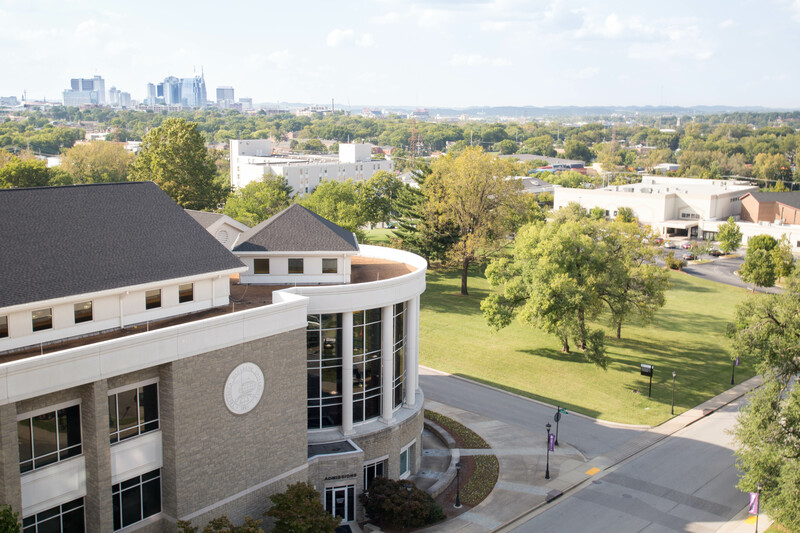 As the president of a Christian university, it’s my job to communicate the vision what a Christian university should be to our faculty and staff. In my mind, Christian universities should be places that nurture and mentor, but also challenge. 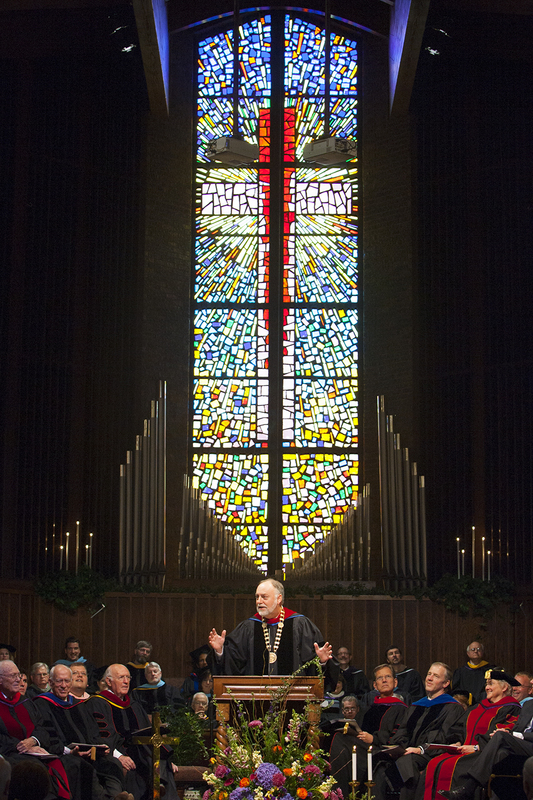 Our mission is simple: Christian higher education and doing it with excellence. In the world of higher education, many things can vie for our attention, but our primary focus is students, both traditional undergrad and adult. Take them away, and we’re not here. As Christian educators, we exist for more than ourselves. I think we need to be reminded of this because other loves often trump our love for students. These mistresses can be compelling. I’ll name three. For some of us, our field of study is the mistress that seduces us from meaningful interaction with students. Content fascinates us –and to land a gig that pays us to follow our academic interests is a good job. We love music or math or film or philosophy more than we love our students. To be honest, students are a bother at times … because they refuse to love our field as much as we love our field. They distract us. Loving theories and facts and books is so much easier than loving students. Others of us love our leisure more than we love our students. We get weekends off, a ton of holidays, a long winter’s nap and, for some, a partial year contract. So we easily fall into the minimalist routine– show up, lecture, attend some meetings, keep the grades flowing, and slide to the parking lot as early as possible. 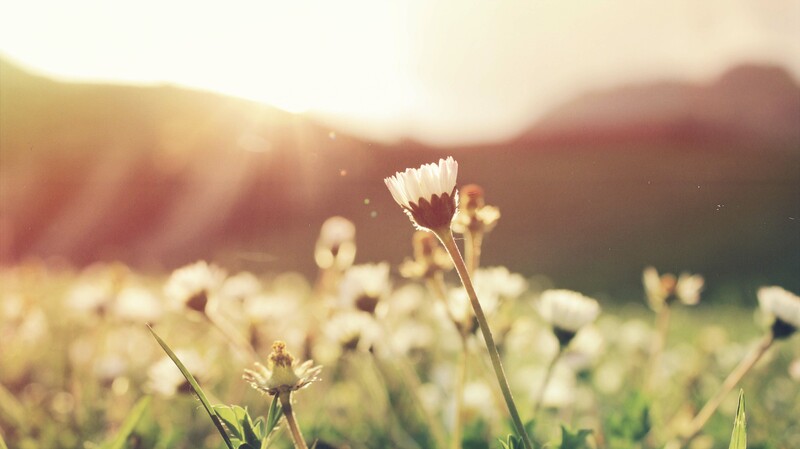 Students are a pain when it comes to our schedules –especially when they want our time, our applause at their ballgame or play or concert, our worshipping presence in community chapels, our wisdom for their issues. And lots of times they want it after 9 p.m., which really messes with us. And then others of us love the idea of retirement more than we love our students. We just can’t pull the trigger yet, so we hold on for the day we can get the rocking chair and open our TIAA-Cref mail. If we could retire tonight, we would—because the love of educating students is no longer a passion that propels us from our beds every morning. 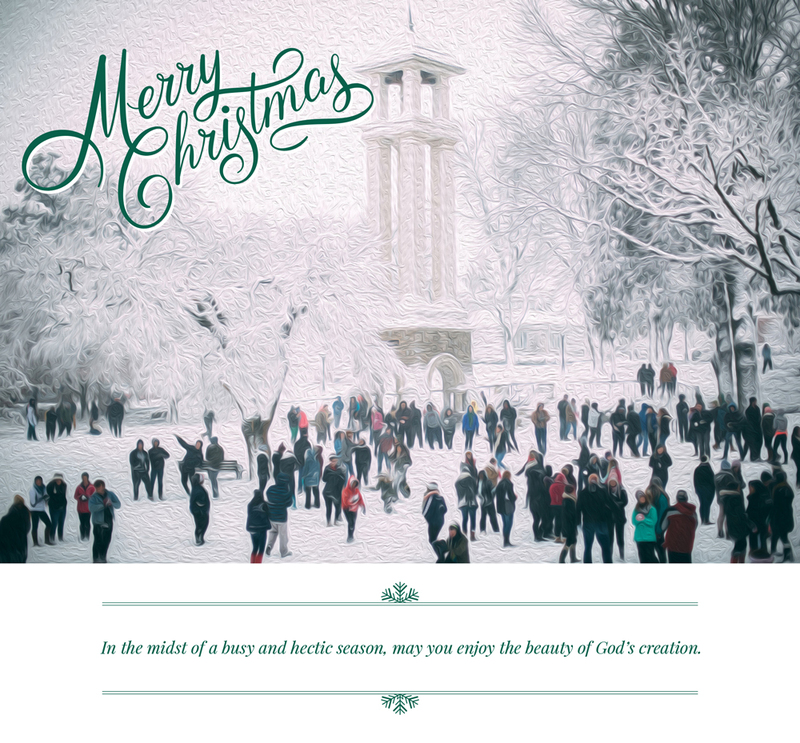 Lots of loves –our field of study, our research, our leisure, our schedule, our retirement–lots of loves can supersede the love for students and our work of forming them by way of Christian higher education. I want to call Christian educators to embrace the love of students and to do the hard work of educating them with excellence. Why? Because we are loved by God and entrusted with human life. Because education is being done in destructive ways all over the world and we have a chance to do it better. Because the culture of darkness needs our graduates if there is to be hope and light.